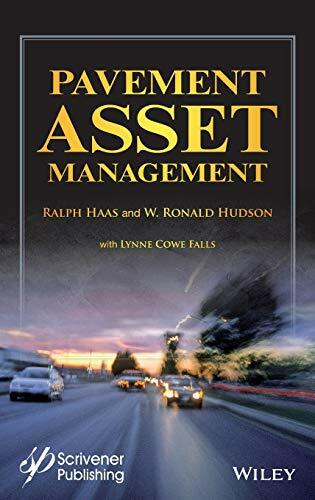 [PDF] Pavement Asset Management | Free eBooks Download - EBOOKEE! Posted on 2017-11-24, by luongquocchinh. Description: Comprehensive and practical, Pavement Asset Management provides an essential resource for educators, students and those in public agencies and consultancies who are directly responsible for managing road and airport pavements. The book is comprehensive in the integration of activities that go into having safe and cost-effective pavements using the best technologies and management processes available. This is accomplished in seven major parts, and 42 component chapters, ranging from the evolution of pavement management to date requirements to determining needs and priority programming of rehabilitation and maintenance, followed by structural design and economic analysis, implementation of pavement management systems, basic features of working systems and finally by a part on looking ahead. The most current methodologies and practical applications of managing pavements are described in this one-of-a-kind book. Real world up-to-date examples are provided, as well as an extensive list of references for each part. No comments for "[PDF] Pavement Asset Management".